Note: This exercise is a very simplified way to apply machine learning. I spent very little time selecting the appropriate algorithm, accumulating enough data or even challenging whether or not the personality of an author is a viable predictor for personality. This is a full time job, it's called being a data scientist! 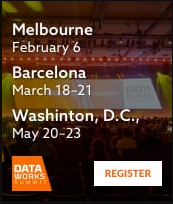 But hopefully this will enable the real data scientist to please stand up and build useful stuff using the Hortonworks stack. This section's goal is to first enhance our previous Nifi flow to upsert data into HBase using Phoenix, as well as add a new flow collecting data from the New York Times "most popular" API. You can find all these flows under my github here. I used Nifi registry to push directly to github; if you want to learn how to do that, check out this article: How to configure git for Nifi Registry in HDF 3.2. Finally, configure a PutSQL as depicted below. You will note that I turned off the support for fragmented transactions. This is not important here but will in the next flow where we split the output of the API. Go to the maven repository and get the latest jar for phoenix and spark2 (see repository here). Once downloaded add it to the spark2 libraries, under the following folder: /usr/hdp/current/spark2-client/jars. In this directory copy the phoenix client if it's not present yet from /usr/hdp/current/phoenix-client/. As you can see the model is far from perfect. I would also argue that creating a PMML from the model would have been a better way to go for our architecture (calling the PMML from Nifi as data flows), instead of loading results offline like we do here. Again, this is a full time job :) See you next article, where we will create a dashboard to leverage this data science and data engineering we just created!